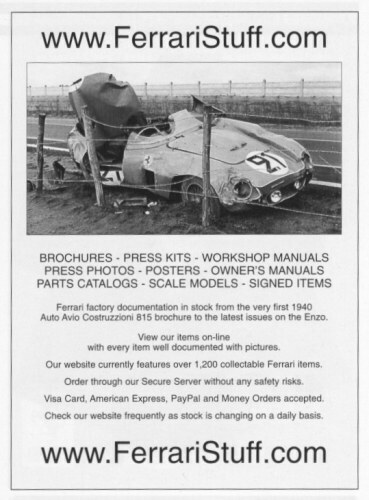 Did you see the photograph of the crashed Ferrari in our ad in Ferrari and other automobile magazines and wondered what it was and how it came to be in such a sorry state? 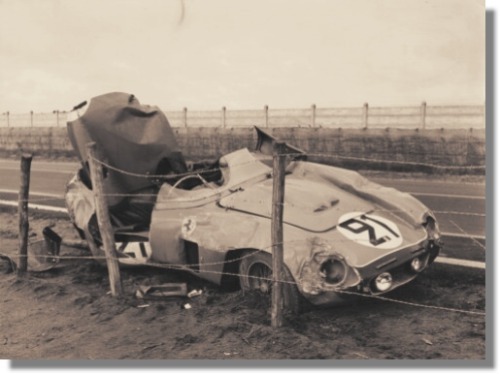 Well, it is the Ferrari 500 TR of Pierre Meyrat after his horrific shunt during the 1956 edition of the 24 Hours of Le Mans. 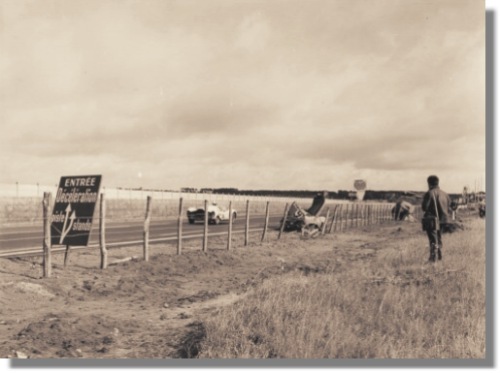 The crash happened around midnight near the deceleration zone for the pits. 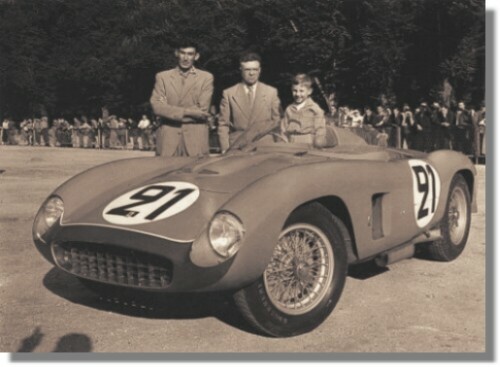 The car, serial # 0624MDTR with a Spyder body by Scaglietti, has disappeared since the crash and it is widely assumed that it has been scrapped. The very same car but BEFORE the race, during the car & drivers presentation.